The statistic shows leading music consumption technologies in India as of May 2014. During a survey. 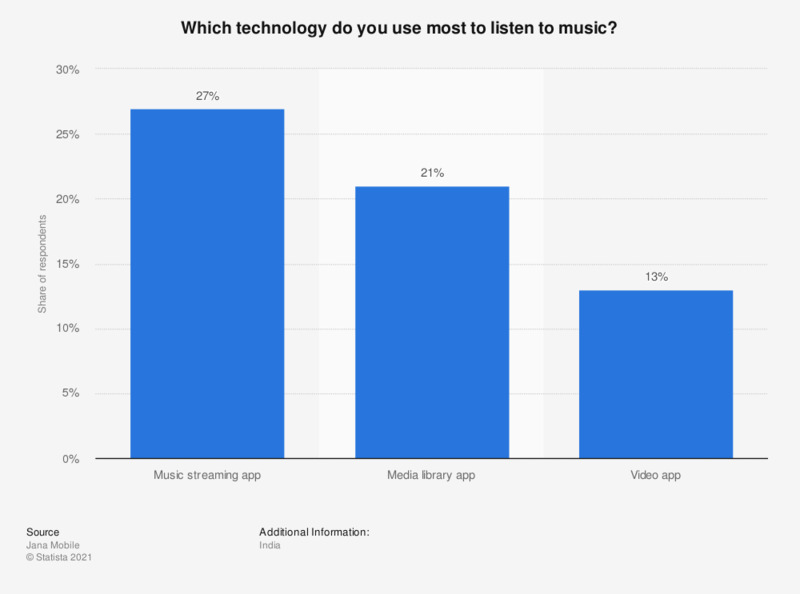 13 percent of respondents stated they used most often used video apps to listen to music.